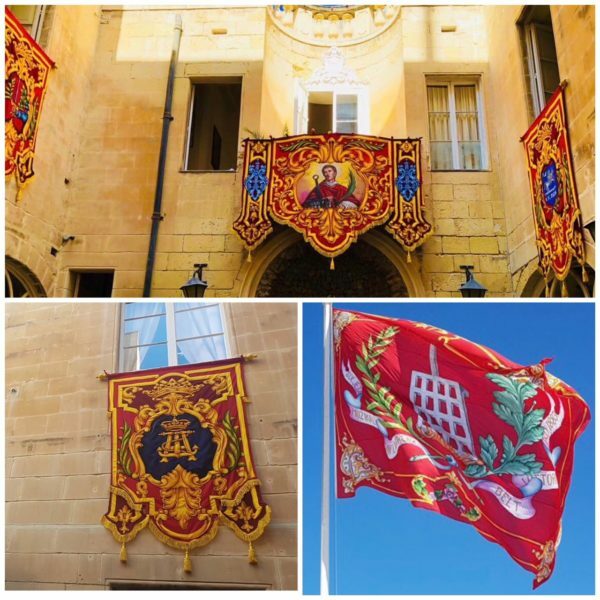 The History of music in the feast of St Lawrence in Vittoriosa goes back several centuries to times where musicians used to walk in front of the standard marking the procession. This is known through ancient iconography showing the procession of St Lawrence as being one of the oldest on the island. Af ter the arrival of the Knights the procession was always preceded by musicians who often where sailors, and the tradition continued even after the arrival of the British in the beginning of the nineteenth century, where they supplied musicians for the procession from their military bands to take part in the feast of St Lawrence. It was this case that started the precedent of military bands being involved in local feasts, which kept going on for a long period of time after the initial years of British rule. 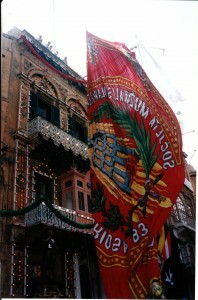 Following that, military bands were participating in feasts of patron saints all over the Maltese Islands. This inspired some Maltese citizens to start organizing musical societies. Around 1858 in ‘Strada Palazzo Antico del Governatore’, in those times also known as Jews Street, a number of men from Vittoriosa began meeting with Band Director Indri Grima to start learning music on contemporary instruments. This group continued to improve its level and in 1863, a house was rented in ‘Strada Porta Maggiore’ with the aim of having a prominent place in the city. Also, the band was being known by its nickname ‘TA’ LJUN’ (The Lions’). This was the start of a musical society which unluckily had to be disbanded in 1868 due to an outbreak of cholera in Malta. However, after this plague passed, Mr Giuseppe Portelli reunited this Musical Society which this time had a Palazzo in the city’s main square. Here the society started being called ‘L- UNIONE’ and in 1878 a hymn was composed and dedicated to the organisers, Mr Farrugia and Mr Cesareo. This Square was the heart of the Vittoriosa where a numerous number of people resided. 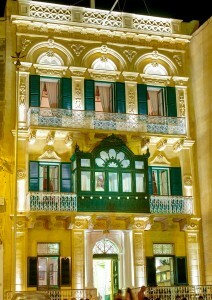 From these premises, the band ‘Tal-Palma’ started performing programmes, such as at ‘Santu Kruċ’ in Valletta in 1885. In 1911 the Society’s premises were in a house in Nr 40 ‘Strada Brittania’, nowadays ‘Triq Hilda Tabone’. By the Act signed on 24th October in front of Notary Neriku Saydon, this house was rented to the society. Since the society kept growing, especially during the tenure of Musical Director Giovanni Giumarra, the hard working committee thought of moving its premises to a better suited location in the heart of the city, and a palazzo owned by the Architect Soler in the Main Square, which he had recently renovated was chosen, and since the Architect was an admirer of the society, a deal was was struck and the committee went on to purchase Nos 10,11 and 12 in Piazza Vittoriosa as the home of the Society. 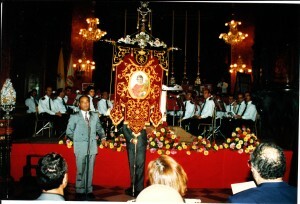 In 1983 on the 100th anniversary from its foundation, the society organised a large number of activities spread throughout the year, and one of the main events during the celebrations was a vocal and instrumental program performed by the society’s musicians in the main square on the 10th of August, the liturgical feast of St Lawrence. 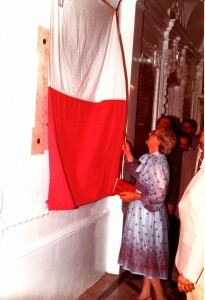 On the day of St Cecilia in 1987, St Lawrence Band Club of Vittoriosa was chosen to perform a Musical Programme in the Manoel Theatre. Among the pieces executed under the baton of Musical Director Schembri were works by Paolino Vassallo, Giumarra, Bazzini and Tchaikovsky. 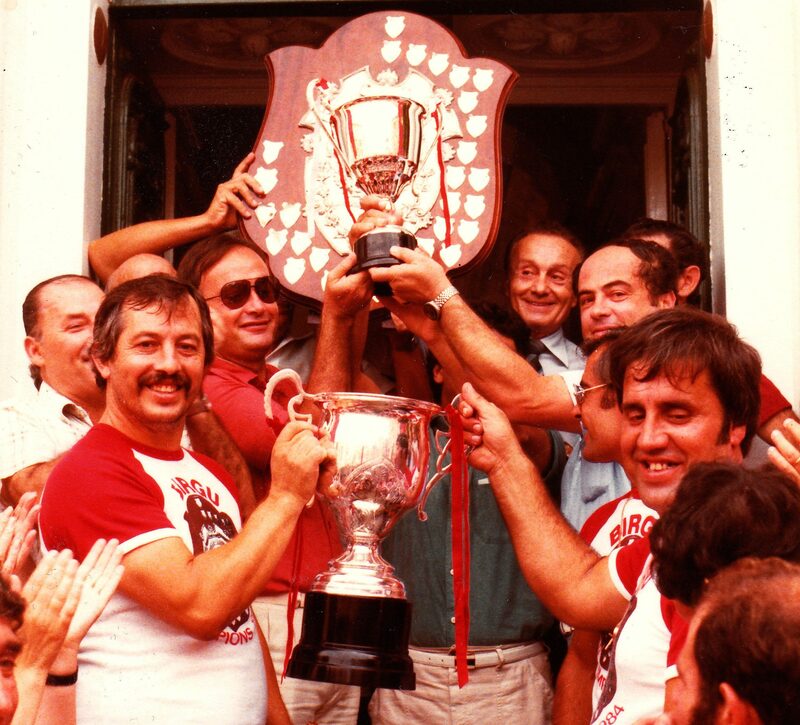 Undoubtlessly, 1984 was a year to be remembered for this city when the Vittoriosa Regatta Club won the Regatta Shield for the first time on 8th September and the society took pride in participating in the celebrations that followed. 1990 was the 900th Anniversary of the Parish Church, and apart from performing multiple times during the year, the societ y executed a Musical Accademia in the Parish Church on 30th July, where it performed pieces by Verdi, Tchaikovsky, Kan. Fenech, Fabri, Schembri and the famous ‘Innu lil San Lawrenz’ for Choir, Tenor and Bass written by the previous Musical Director Hector Dalli. To commemorate the 50th anniversary from the return of the statue of St Lawrence back to Vittoriosa at the end of WW II, a vocal and instrumental accademia was performed in the Parish Church on Thursday 29th July 1994, where works by Bazzini, Mascagni, Korsakov, Rozsa, Puccini, Dalli and Musical Director Paul Schembri were performed. During the past few years the society’s reputation increased further thanks to musical programmes performed in various venues, as well as performances on the 7th of August in Victory Square on the society’s Artistic Band Stand. In 2005 the society performed a programme of works composed exclusively by Musical Director Paul Schembri to celebrate his 25th anniversary of musical director of our band club. 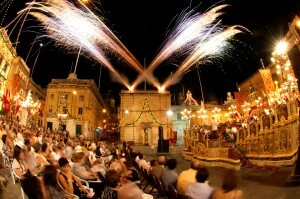 In 2006 an accademia was performed to commemorate the 100 years anniversary from the death of Kanonku Dun Alwiġ Fenech. 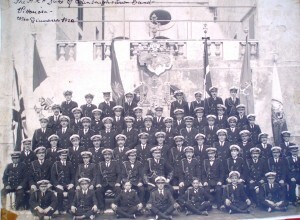 In 2008 the Society celebrated the 125th anniversary since it was founded, and apart from the large number of activities, the committee set up a national com petition for an original festive march which was won by Mro Gordon Baldacchino with his march ‘Jubilant’.A musico-literary ni ght was organized to celebrate the unveiling of the commemorative plaque with the performance of various festive marches from St Lawrence Band Club. 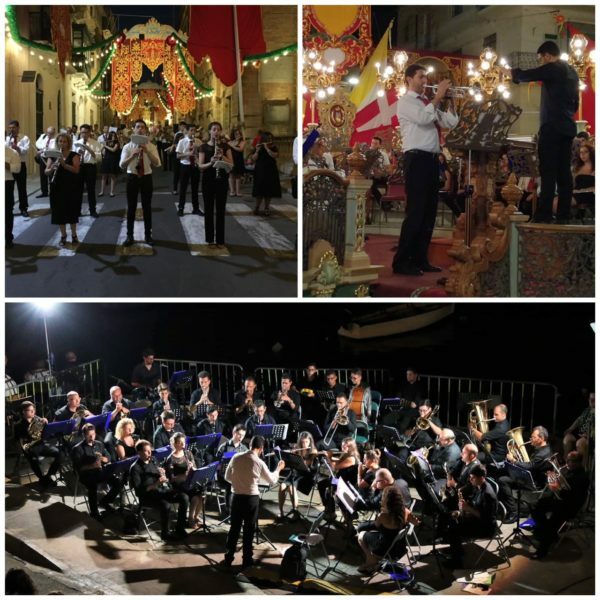 Banda Unione and St Andrew’s Band Club, both of Luqa, participated in these special feasts, as well as a book about our 125 year history, which was written by Mr Anton Attard was published to commemorate the day. The Band was also engaged with the recording of two double albums of Funeral Marches and Waltzes for Good Friday and Easter and Festive Marches for the feast. The celebrations reached their peak on 30th July 2008, when one of the most beautiful artistic band stands in Malta was inaugurated, among a wonderful spectacle and an unmatched musical programme. After this memorable year, the committee’s main aim was to continue affirming this society as one of the leaders on the islands, doing this by continuous success of musical services and programmes. In fact, 2010 was another memorable year for two main reasons, the 30th anniversary of Mro Paul Schembri as band director as well the organisation of a musical exchange with a Belgian Band. In fact, the annual Musical programme of the St Lawrence Band Club was dedicated to the 30th anniversary of Mro Paul Schembri as Band Director. 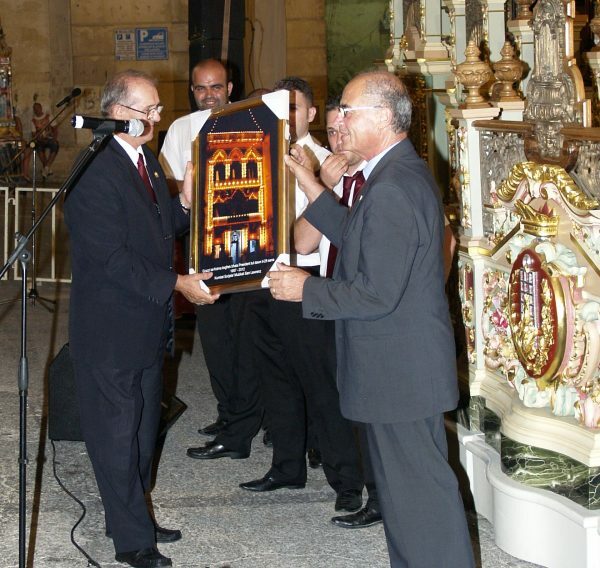 In the annual concert which was held in the Caraffa Exhibition Halls, Vittoriosa Marina, on the 24th of April 2010, Mro Schembri introduced a new music piece which he composed, a Grande Marcia titled 30th Anniversary which was played for the first time. The year 2010 will also be remembered for the exchange between the St Lawrence Band Club, Vittoriosa and Philharmonie Royale Concordia Ottignies, Belgium. This was the first time that a Band Club in our City invited a foreign musical society for the feast. The visit by the Belgian Band was a huge success, with a wide number of activities organized for their stay on the island. 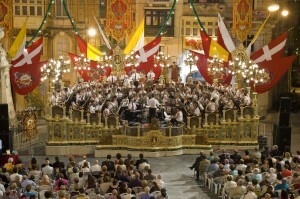 This exchange reached its peak during the Vittoriosa in Festa on 7 August 2010, where both bands performed an international music exhibition in front of a fully packed audience in our main square. After this successful visit, the focus shifted to the band club’s visit to Belgium in the following December. In fact, the visit of the Saint Lawrence Band Club in Belgium was also a huge success. Everyone was satisfied and delighted with this exchange – the organisers, the musicians who joined us and of course the supporters which joined the band in this visit, apart from all the beautiful places the group visited. 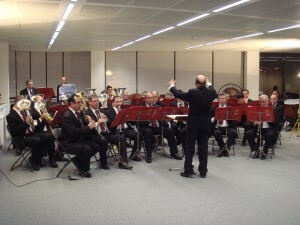 The Saint Lawrence Band Club became the first Maltese Band to have played in Malta House, Brussels. In 2012, the St. Lawrence Band Club Vittoriosa also celebrated the 25th Anniversary from the appointment of Mr Lawrence V. Farrugia as President of the Society. The celebrations reached their peak on 2nd August, when a musical programme and concert were performed on the society’s artistic band stand. 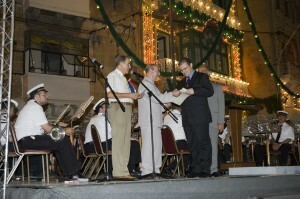 Other Band Clubs participated in this event since this year was also the 25th anniversary of Mr Farrugia as President of the Band Club’s Association of Malta. Along with the musicians, the Bel Canto Choir participated in these celebrations. Mro Paul Schembri composed a new piece for the occasion, a Classic Overture named the President’s Jubilee and donated it as a present to Mr Farrugia and the Club. Another page in the Society’s history was written in 2015, when on Monday 3rd August the facade was inaugurated after a long much needed extensive restoration project, and installation of new lights. Nowadays, this facade is described as spectacular, and is an attraction not to be missed during the days of the feast and the rest of the year. On this day the Society’s Palazzo was baptised with the name Palazzo Huesca. In order to commemorate permanently this name, 2 marble signs were installed near the main door; one stating the name of the band club and the other stating the name of the club – Palazzo Huesca. The restoration of the beautiful facade was a long and tedious process which nearly 2 years to be completed. However, the final works are nowadays being admired by the thousands who visit Vittoriosa on an annual basis, be it during sunlight or else at night, where the splendour of the facade will all be glowing with the professional lighting. One cannot miss this beautiful Palazzo with its imposing structure in the middle of Vittoriosa’s main square. The Central Committee of the Saint Lawrence Band Club had planned the year 2018 as another important year in its rich History, due to the fact that this years coincided with the 135th year anniversary of the foundation of the Saint Lawrence Band Club. To this effect, in the months preceding this year, the band club prepared an extensive programme of activities and projects in order to commemorate with the best way possible this particular year. In fact, in October 2017, the competition LOGO 135 was launched where the aim was to have an open submission of potential logos for this anniversary. By the stipulated deadline, more than 30 logos were submitted and the sub-committee set up for this special purpose chose the best logo in its opinion. 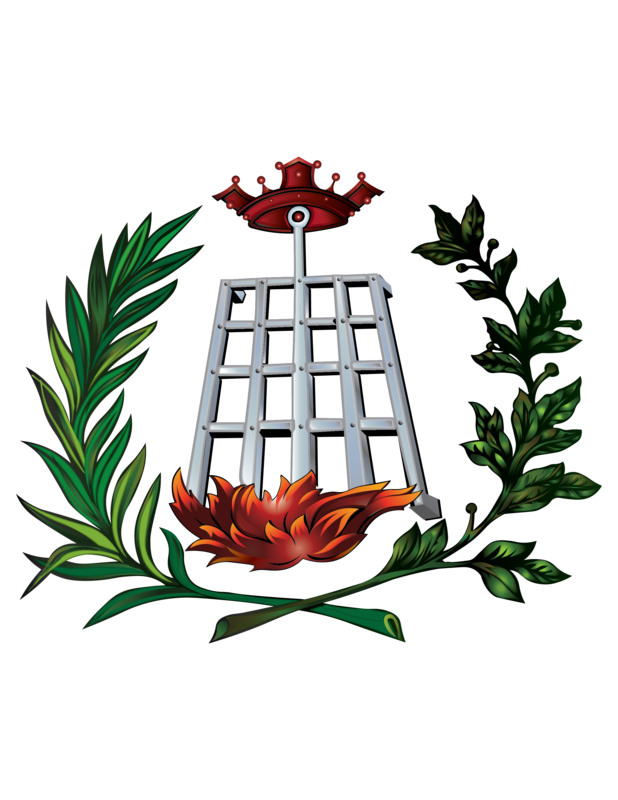 The 135 year anniversary logo was launched at the end of December 2017 and the winning designer was given an adequate prize. 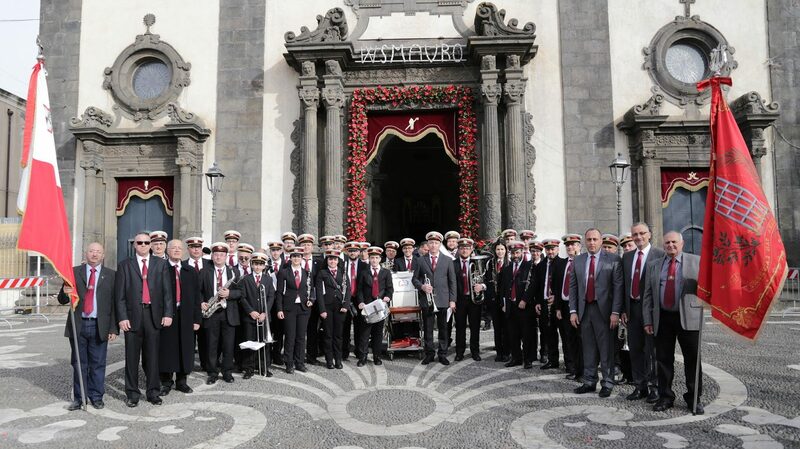 Soon after the Christmas festivities, in particular between the 13 and 16 January 2018, the Saint Lawrence Band Club went to perform abroad for the 5th time in its history, on the invitation of Associazione Musicale Culturale Bandistica Symphonica Citta` di Viagrande and the Local Council of Viagrande, Sicily, for the feast of their Patron Saint St. Mauro. This visit abroad is part of a broader Musical Exchange programme which will also bring the Sicilian Band in Malta in the beginning of August, for the feast of Saint Lawrence in Vittoriosa. The visit of the Saint Lawrence Band in Viagrande can be described as a huge success, where it played festive marches on the eve and also on the day of the Feast of Saint Mauro. Also, the Saint Lawrence Band performed a musical programme in the main square of Viagrande, just before the beginning of the procession. For yet another time, the Saint Lawrence Band was the Musical Ambassador of Vittoriosa and also of Malta. In addition, just a few days after the arrival of the band in Malta, the Saint Lawrence Band performed once again, this time in Valletta for the grand opening of Valletta 2018 on Saturday 20 January 2018. it must be noted that the Saint Lawrence Band was the only band club from Vittoriosa and the Cottonera Area taking part in these festivities, and above all meant that the festivities for this anniversary began with a bang! The celebrations for this Annive rsary continued on a high throughout the whole year. In fact, for the occasion of Good Friday, the Saint Lawrence Band Club published a collection of funeral marches on a USB Flash drive. This initiative was quite innovative in the local bands scenario. The same thing was done for festive marches, together with a new recording published on a CD Album. On Easter Sunday, the Band Club inaugurated a new flag bearing its emblem. 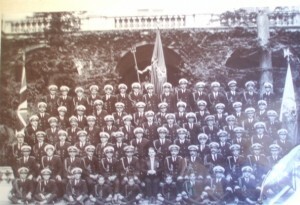 In June, it held the Annual Concert in Fort Saint Angelo, while in July all activities relating to the Festa period kicked in, whereby the Final of the Snooker 135 Competition was held, Blood Donation initiative in the Main Square, Thanksgiving Mass with the participation of the band and also inauguration of decorations for the inner courtyard of Palazzo Huesca. On 7 August, the Club received two new small flags, the first one with the Maltese Cross and the second one with the emblem of the club. In addition, between 7 and 10 August 2018, the Saint Lawrence Band reciprocated its hospitality to the Associazione Musicale Culturale Bandistica Synphonica Citta` di Viagrande. Following the visit of the Saint Lawrence Band to Viagrande and its participation in the Feast of Saint Mauro in January 2018, the Associazione Musicale Culturale Bandistica Synphonica Citta` di Viagrande reciprocated by a visit in Malta and participation in the feast of Saint Lawrence. In fact, the Italian band arrived in Malta on the morning of 7 August 2018 and left Malta on the afternoon of 10 August 2018. During its visit, this Viagrande band participated in the feast of Saint Lawrence on three different days. The first performance was an alternated band march with the Saint Lawrence band on 7 August. 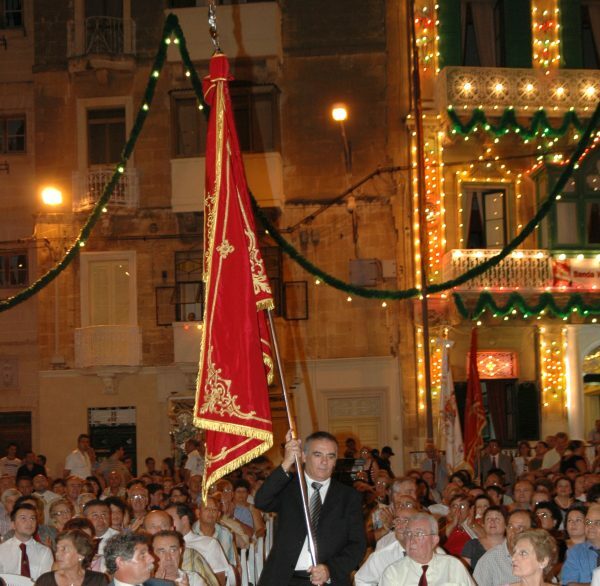 Than on 8 August, it performed a band march and a musical concert in the main square, while on 9 August it performed another musical concert in Sally Port and a band march in the Vittoriosa Waterfront. The band members also joined the festivities during the morning march held on 9 August 2018. Without any doubts, this was the jewel in the crown of the celebrations of the 135 Anniversary of the Saint Lawrence Band.